Now that Thanksgiving is over we can all relax right? Hahaha. WRONG!! The Christmas season is upon us which means decorating, holiday music, shopping, planning, and of course, hosting some fun and festive gatherings! Christmas Eve dinner is at our place for the second year in a row, and as I consider different menu options I want to have great appetizers in place. 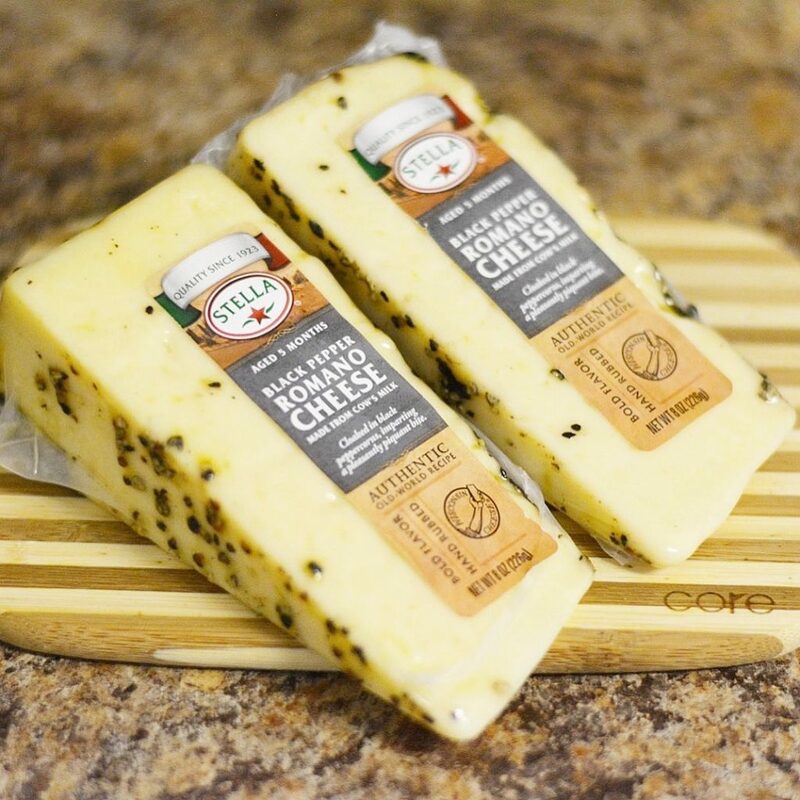 A cheese board is a definite go-to in my book, and this year I’ll be using one of the many flavorful options from Stella Cheese! I had a super simple combination in mind, and decided to give it a trial run this afternoon. 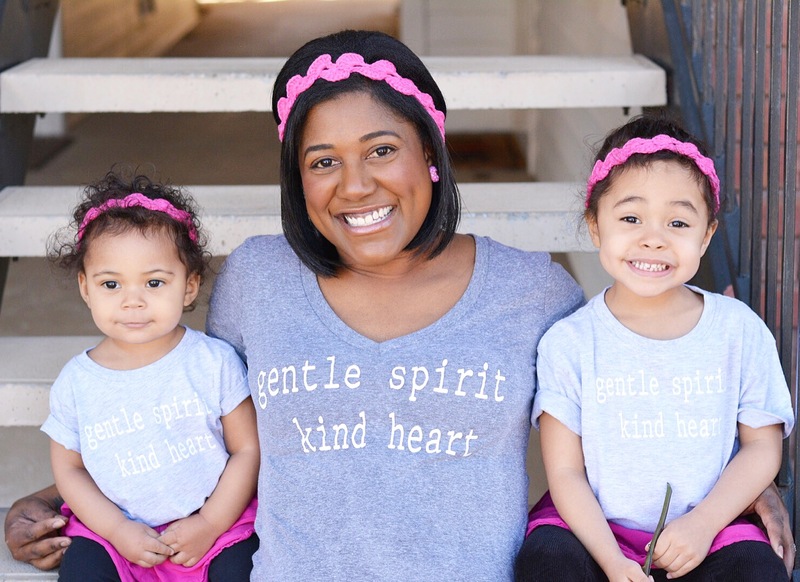 I used my girls as taste-testers, because anything their taste buds approved was sure to be a winner. 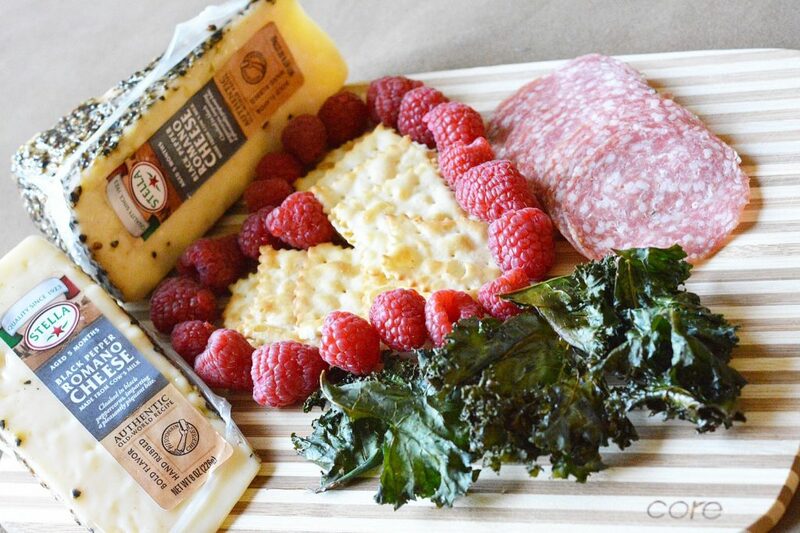 I baked kale chips while they napped, and thought those would pair nicely with crackers, salami, raspberries, and Stella® Romano Cheese. I happen to love Romano cheese, and I even use it in one of my favorite turkey meatball recipes. The taste of the Stella® Romano Cheese is outstanding with its old world craftsmanship and rich dairy heritage that dates all the way back to 1923! I ate several slices by itself and plenty with the meat and crackers too. It made me so happy to see my daughters get into it. My 4 year old even thanked me for the yummy food at our indoor picnic. Lunch today was a nice break from the Turkey Day leftovers and truly a treat. With over a dozen more Stella Cheeses to choose from (get the full list here), the combinations are endless! 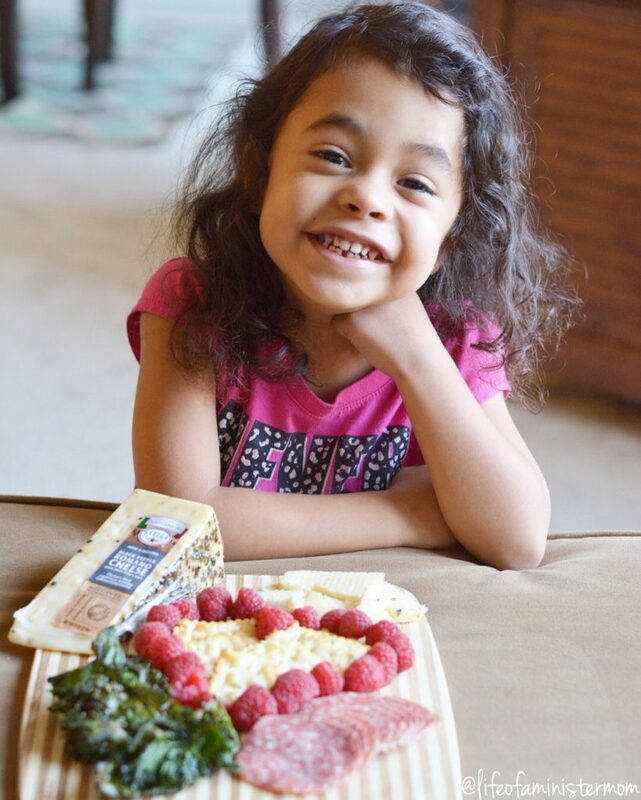 Make Stella Cheese a part of your holiday meals this season, and don’t miss the fabulous opportunity to win a trip to the beautiful Napa Valley, CA!! Entering is simple. Click here! What’s your favorite cheesy combination? I’d love for you to share your ideas with me! I love Stella Cheese! Great post! looks like a great spread! yum! It was really good! I’m definitely going to do it again! That cheese looks so so good! I’m obsessed with cheese! Love your photos! This Stella cheese was the bomb!!!!! Mmm cheese! That plate looks delicious! Thanks lady! We thoroughly enjoyed it! Thank you Eryka! The girls thought it was cute too! Yay! I LOVE cheese!!! That black pepper Romano sounds amazing! It was soooo good! Just the right amount of kick and great flavor! 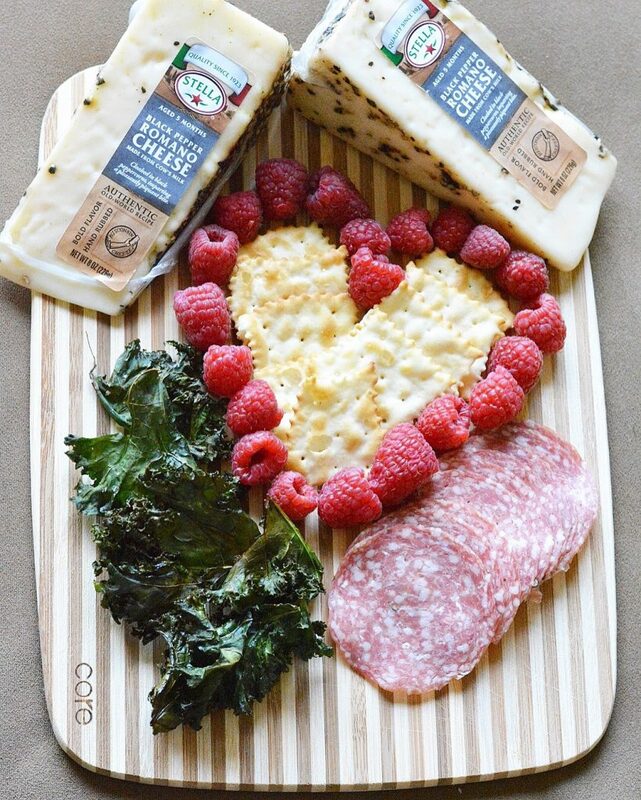 I love that adorable charcuterie board! I tried Stella Cheese back in June and loved it! I didn’t even know what this board was called LOL. And I remember drooling over your photos then too. It’s so good! Thanks! What a great cheese plate! Perfect for holiday hosting! Thanks Sarah! We really enjoyed it! Lol! Sorry about the hunger pains! It was tasty! 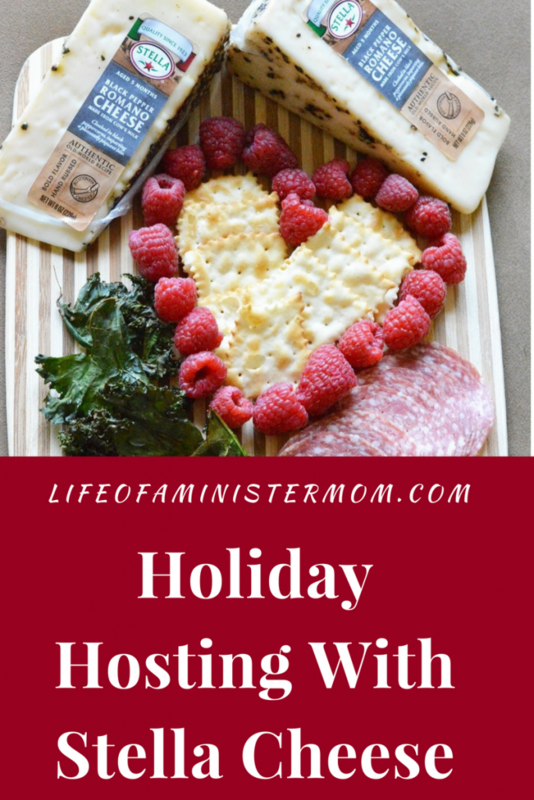 This looks so yummy & perfect for holiday hosting!! We really enjoyed it Pamela and can’t wait to try it again! I love Stella Cheese! Love the heart set up too! Thanks Nicole! That was totally last minute but the girls loved it! I’ve never heard of Stella cheese but how I want to try! You made it look so good! You have to try it Mackenzie! It was yummy! They are!! And bring me all the cheese!! Lol! That cheese board looks delicious! Thanks Emily! It was pretty tasty!! I’ve never used these items on a cheese platter before I want it RIGHT NOW! Looks so, so yummy! I’m a cheese fanatic! I was doing some experimenting but it turned out well! And I looooove cheese too! Like really love it!! Hahaha.